Patrick lives in a big American city. In fact, his city is so big that directors shoot their movies there. This morning, Patrick's school bus is driving by a film set on the road. What other adventures will Patrick have today? This charming story captures the day in the life of an American boy with endearing illustrations. It introduces readers to aspects of American culture, including food, music, religion, sports, and popular holidays. 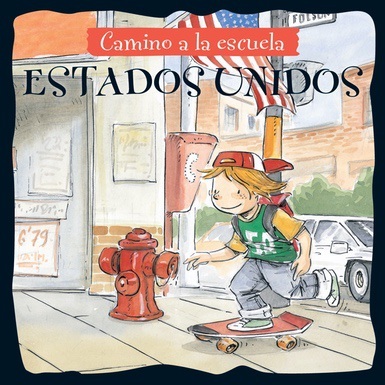 This playful narrative format is the perfect way to teach readers about daily activities. Fun and engaging, this volume is sure to be a popular addition to any library or classroom.